The Roaring launch shows continue with this Fat Hippy Showcase on Saturday 26th March. 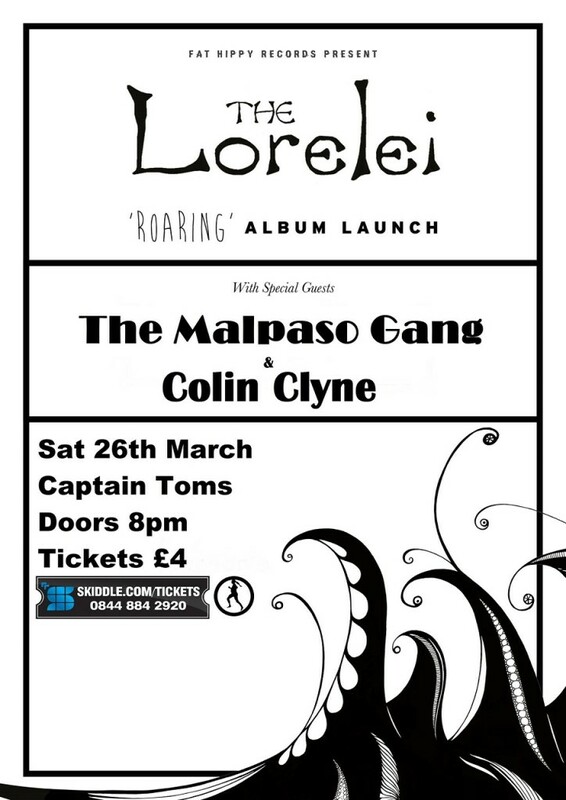 Joining us on the night will be The Malpaso Gang and Colin Clyne . Not only do we continue to celebrate the release of our 4th album Roaring but, amazingly, this will be the first gig Tom has ever done at his own studio. History in the making!!!!!!!!!!!!! !